Hineno Golf Club | Golf course with longest hole at 253 yards, 5 minutes by car from JR Hineno Station. All-you-can-play for ¥3,000 on weekdays and ¥4,000 on Saturdays, Sundays and holidays! All-you-can-play for ¥3,000 on weekdays and ¥4,000 on Saturdays, Sundays and holidays! 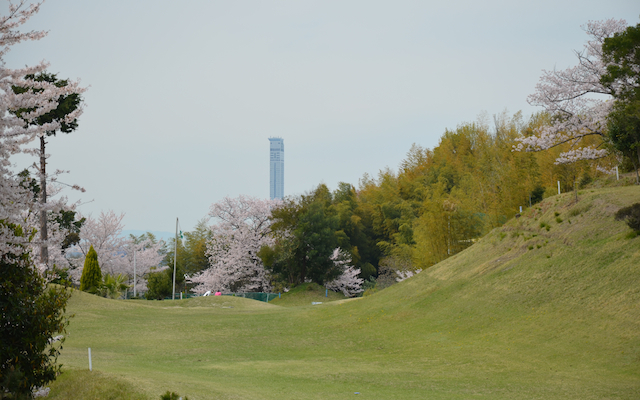 The golf club is situated on picturesque high ground, between ponds wrapped in the greenery of eastern Izumisano City. It is particularly notable for the wonderful seasonal scenery spreading out between Osaka Bay and Awaji Island. On top of this, every effort is made towards the full provision of facilities and safety of the course, and we continue to strive to add to our customers' enjoyment with new plans. We kindly await your visit to our club. Please note: no reservations—first come, first served.